By Lynn Jones – Sweethearts, couples and newlyweds attended the Royal Vagabonds 2017 Sweet Heart Dance, held at the Doubletree Hotel, in downtown Jacksonville. Over 300 couples adorned in formal attire enjoyed a variety of activities ranging from dinner and dancing to a buffet including shrimp & grits and a dessert smorgasbord. Entertainment for the evening was presented by the Special Formula band, playing the sounds of Motown, Jazz and top 40 hits. Gift bags were placed throughout the ballroom with Mardi Gras mask for guests to peruse and create a mystical appearance to their mate or date. Royal Vagabond members proudly entered the ballroom escorting their dates and hosted a program detailing their community efforts to award scholarships to deserving Duval county high school students. 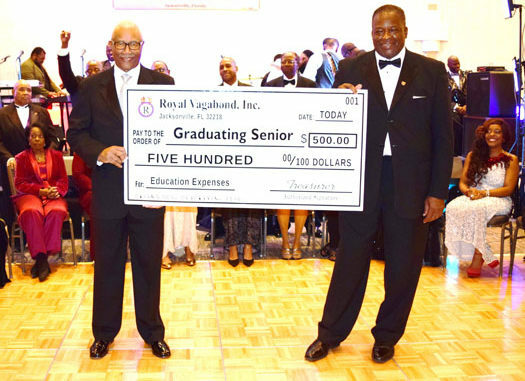 This year, the Royal Vagabonds presented four five hundred dollar scholarships to eligible graduating seniors. 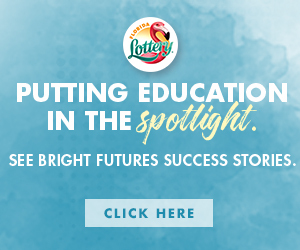 Scholarship criteria include completing an application, writing an essay and grade point average.